Hakonen system, Lonetrek region. On the 5th of February at 23:00 EVE Standard Time, Project.Mayhem. [16-13] and Snuffed Out [B B C] once more clashed with Circle-Of-Two [CO2] forces in the system. The battle was prompted this time by an attempt of Project.Mayhem. and Snuffed Out to reinforce a Circle-Of-Two tower in the system. The two alliances assembled a joint Machariel battleship fleet with a large number of capitals, reaching 60 pilots in total. At the start only the capital squadron jumped into the system at a perch away from the tower before warping to it at close range. Setting up on the tower, the allied capital squadron chose not to commit its dreadnoughts and put them into their siege cycles as reports came in of Circle-Of-Two movements. Circle-Of-Two had spotted the allied fleet and quickly formed a response fleet of its own, managing to gather a 90 pilot Machariel battleship fleet. The force then bridged to the system at a perch on the same tower, just as two allied dreadnoughts were forced to enter their siege cycle in order to disable the electronic warfare batteries present on the tower. The Circle-Of-Two fleet warped on top of the capitals, swarming them and starting the battle proper. This caused the allies to commit their own Machariel fleet, bridging it into the battle and quickly opening fire at the Circle-Of-Two Machariels. The two sides clashed mercilessly at close range, with Circle-Of-Two concentrating its fire on the triage Archon carriers present for the allied fleet. With the number of heavy energy neutralizing battleships it had, the Circle-Of-Two fleet managed to shut them down one by one and annihilate them with little difficulty. The allies on the other hand attacked the energy neutralizing battleships, focusing fire on Bhaalgorns before switching to Machariels, the dreadnoughts assisting in bringing the enemy battleships down. However, losing their triage carriers, the allies couldn’t hope to tank well against the numerically superior Circle-Of-Two fleet. Orders were given for the sub-capital fleet to withdraw while the allies attempted to extract as many dreadnoughts as possible, with a few getting tackled by the Circle-Of-Two heavy interdictors. As this was going on, Mercenary Coalition [MC] was contacted by the allies as it was roaming to give aid in the battle. The Mercenary Coalition fleet quickly returned to its staging system and reshipped to a Machariel fleet of its own, estimated at 50 pilots, before racing to the Hakonen system to help the allies extract their capitals. Warping to the tower, the Mercenary Coalition fleet quickly targeted heavy interdictors as well as Guardian logistics cruisers, forcing Circle-Of-Two to bring triage Archon carriers of its own. The Circle-Of-Two fleet proceeded to dispose of the few dreadnoughts it managed to tackle before switching fire to the Mercenary Coalition fleet, inflicting several casualties. For the Mercenary Coalition fleet, its main objective of helping the allied fleet to extract its capitals had been achieved, and thus it chose to extract as well, leaving Circle-Of-Two to hold the field. Having secured the field and the tower, the Circle-Of-Two fleet extracted as well, bringing an end to the fighting. All told the battle lasted 15 minutes with the system seeing less than 200 pilots at the peak of the fighting and no Time Dilation reported. 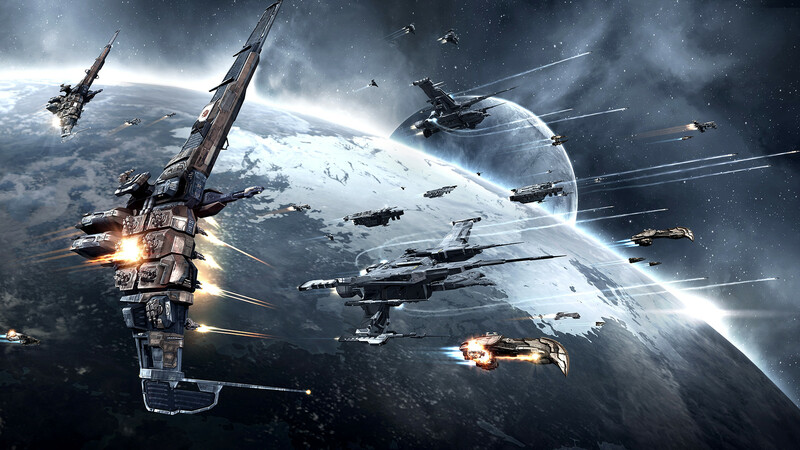 The allied fleet, including Mercenary Coalition, lost 16 ships in total including 4 dreadnoughts, 3 carriers and 5 battleships for a total of 23.02 billion ISK damage. Circle-Of-Two lost 15 ships including 7 battleships for a total of 6.04 billion ISK damage. I’m impressed, I have to say. Really not often do I encounter a weblog that’s both educative and entertaining, and let me inform you, you have hit the nail on the head. Your concept is outstanding; the problem is one thing that not sufficient people are speaking intelligently about. I’m very blissful that I stumbled across this in my seek for something relating to this.